The Internet of Things has gained much of its notoriety from wireless applications such as smart watches and Wi-Fi based smart home controls. This wireless backbone may have much to do with the massive projected growth of IoT devices deployments. Why? For consumers, businesses, and governments wireless means more data and less cost. The cost involved in installing the cheapest of sensors is easily eclipsed by the planning, purchase, and pulling of the wiring needed to connect it. This is especially true where infrastructures were built well before the word “electronics” evolved. A unique case that illustrates this point sprang out of MIT’s first IoT Bootcamp, where the author recently gave a talk on low-power wireless IoT. One student team, whose members hailed from Turkey, posed a unique problem – and devised an even more innovative solution. 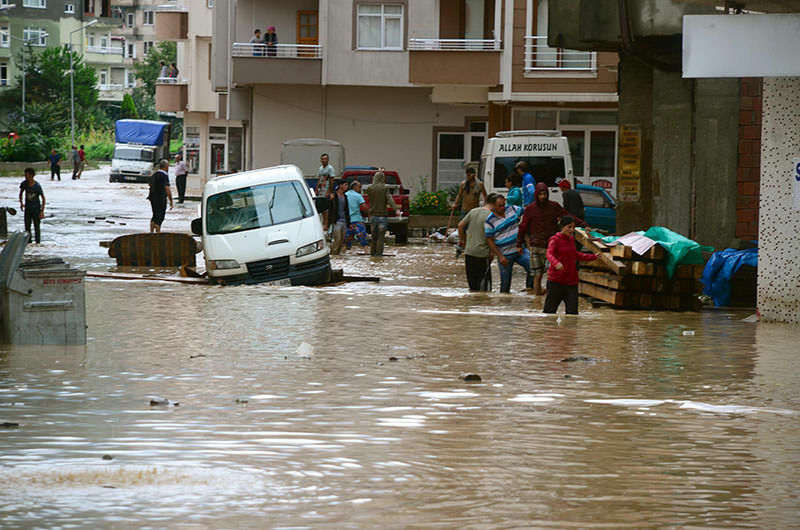 In Turkey, yearly flash flooding accounts for hundreds of millions in damage, and many injuries and deaths. Major infrastructure changes are difficult to implement with limited budgets and the complexity of government operations. The team's answer to this complex problem as to implement wireless sensors. Flooding in Turkish city of Artvin - August, 2015. In order to save life and minimize damage, the boot-campers recognized that citizens and city personnel needed time to prepare for those floods. This meant knowing when and where they were most likely to occur. The secret to this knowledge is underground – in the sewers and drainages running throughout the city. The key is to monitor water levels below ground throughout the entire city. Armed with this information, quick action can be taken to evacuate or even protect property against flooding. The first step is to place sensors that measure these subterranean water levels and then integrate them with a system that alerts the appropriate personnel when levels reach critical thresholds. The MIT Bootcamp team implemented a LoRaWAN network to power their water level sensors. Each device reported measurements back to a LoRaWAN enabled gateway. That data was then used to trigger email or SMS alerts. Taking it one step further, the students also set up a traffic control system that green-lighted the evacuation route based on predicted flood patterns. The demonstration was impressive in its functionality and practicality. A system like this may soon be giving citizens and governments throughout Turkey, and perhaps flood prone areas throughout the world, the extra time needed protect property and save lives. LoRaWAN flood level monitor prototype built by MIT IoT Bootcamp students - June, 2017. LoRaWAN technology allows large networks of battery operated, wireless sensors to be deployed in areas that are inaccessible to cellular signals and too costly for wiring to reach. This opens the door for countless new applications, especially in the realm of disaster and city management.